Happy Friday!! I am here again to share ANOTHER project using the gorgeous new Art Kure Flower stamps. I'm loving them so much that I just had to make another layout using the Art Kure English Rose stamp. This time I used the large English Rose stamp set. I just love that these stamps come in two sizes. It just opens up so many scrappy possibilities. I opened up my Word program and printed out these black frames on white card stock. Next I stamped the English Rose stamp in the center of each frame using a different colored ink with each one. I am taking an online class at Big Picture Classes right now and they are sending me a sketch a day. I used the sketch from Day 1 as a starting off point. I find using a sketch to be such a help. Sometimes I only use a portion of the sketch or I turn it. Or maybe I will trade out shapes. Sometimes I am inspired to scrap just by seeing a cool sketch. Do you use sketches as a starting point? Anyone else taking the 28 Sketches class?? Next on my layout I layered some patterned paper scraps that I had sitting on my scrap desk from a card I just made. I used an edge punch along the edge of one of the papers and layered it with the other pattern papers. I'm obsessed with stapling ribbon on my layouts so I had to do it on here too. My mother complains because she thinks I am cheating when I staple but I love the look so I keep on doing it! I think it is funny that she complains since she is the person who bought me this ridiculously big awesome stapler!! LOL If you are a regular visitor you will have seen this stapler before. I think it is one of my favorite things she has ever gotten me!! (and she gets me good stuff!! LOL) She is actually here visiting me right now and when she got here she opened up her suitcase and pulled out two boxes from HSN that had Martha Stewart punch sets in them!! Each box had a corner punch, a punch around the page edge punch to match and one of those middle of the page punches!! WOOT!! Anyway back to the layout details...to add a bit of sparkle and texture I pulled out some Glimmer Mist in Turquoise Blue and Aquamarine and splattered it on the base card stock. I should have mentioned this first because I did it first! Sorry. ha I just opened up the bottle and flicked the mist right off the end of the tube onto the paper. Next I pulled some alphas and a rub on from my stash to make my title. I finished up by finding a vellum quote and attaching it with some brads. Oh I guess I shouldn't forget that tiny flower in the title. Ha! It was also from my stash. Voila! I made this sweet little tag for a challenge at Sketches4all yesterday. The Spring and Easter Contest ended yesterday and I wanted to get one more of the challenges done before it was over. Winner are being announced over there soon. 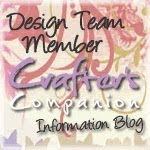 Don't forget to go enter the Going Green challenge on the Crafter's Companion USA blog. You only have one more day!! The challenge ends tomorrow. Okay, I have to finish getting the kids ready for school. They are totally crazy this morning since Spring Break starts tomorrow!! TGIF!! Hi!! I want to show you a layout I made using the new Art Kure -English Rose stamp set. These beautiful floral stamps come in two sizes. I used the smaller stamped image on my project. I started by stamping out the image and coloring it with my Spectrum Noir markers. Then I got out my Ranger Distress ink pads in Vintage Photo and Antique Linen and gently distressed the colored image working in a circular motion. I punched out the large circle with my new We R Memory Keepers Lucky 8 punch. LOVE, LOVE, LOVE it!!! The smaller circle is one of the doilies that my friend, Karla just sent me in that package of happy mail I told you about!! Thank you again Karla!! I inked the edges of all my paper, the doily and the punched circle. I layered it all adding a piece of lace that I snagged at a thrift shop for pennies and a wooden scroll from my stash. I wrapped a bit of bakers twine around a piece of my paper before adhering it. I printed out my photo in black and white. It seemed a bit stark so I took the Ranger Distress ink in Vintage Photo (apropos right?! lol) and inked it up a bit. I pulled out a wire floral bouquet from my stash. After trimming off a few things and shaping it to work for my project I adhered it. I used one of the leaves that I trimmed off the bouquet and I layered it with my stamped image and a metal lock charm. The last thing to do was to ink my title letters and attach them to the layout. Oh I forgot about the rub on that I added to the photo. It says "Our Blessing". I am happy with my final project and when I showed it to my husband he got all emotional seeing the photo and remembering the moment. There is also a stamp set giveaway going on over there right now too so while you are there you should try to win it! Did you have a nice weekend?? Mine was busy. We had a lacrosse game that was far away and spent a good portion of Saturday on the road. I took my 3 older kids to see the Hunger Games movie. They loved it! I have read all 3 books and it followed pretty closely to the books. The "games" were a bit rushed. But all in all I liked the movie. Did any of you get to see the movie or have you read the books?? I saw the coolest thing today on Frosted Design. Beverly showed that you can use a corner punch to make a edge designed circle kind of like what I'm getting when I use the new We R Memory Keepers Lucky 8 punch. I wanted to show it to you too. First you start with a circle and a corner edge punch. Then just take your corner edge punch, turn it upside down so you can see what you are punching. Punch evenly around the circle making sure to leave some of the paper at the top of the punch. It should look like this. After punching all the way around the circle (the circle I started with was 10 3/4 inches) it should look something like this. Isn't that cool. I love how that opens so many new options for me. If you want to go watch the video you can see it HERE. Yesterday I was excited because I got some happy mail from my friend Karla. Happy mail for no reason other thank she is nice!! Isn't it awesome?? I think I now have enough doilies to last me for a little while!! I love it all!!! Can't wait to start playing. The weather here is gotten so pretty the last couple of days. It is supposed to be in the 80s today and sunny. I really love spring. We usually have such a short spring and then it jumps right into a super hot summer. (Vegas = desert you know) I am just trying to enjoy it while I've got it. We have been seeing a million butterflies in my backyard. I have to show you a photo. Yesterday I made a very Clean and Simple card using only scraps and stuff from my stash. The papers were leftovers from the card I made the day before. It came together so quickly. I thought that this would be a great challenge to offer over at Sketches4all on my Card challenge so that is what I did!! What do you think?? I really like it. If you are interested you can go join in the challenge at S4A. It is going on until April 11th and there will be a RAK. Saturday my ds has a lacrosse game and it is about a 2 hour drive to get to the game. So we are leave at 6am. I'm not really looking forward to it. I love to watch him play but getting up early is not something I enjoy. My brother has been visiting us (that is him in the photo with my son) and he is going home on Monday. (boo) But my Mom is coming to visit on Wednesday!! LOL Then on Saturday Spring Break starts for my kids. So a busy week. 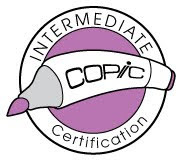 I've been taking the Tim Holtz Creative Chemistry class. I'm loving it so far!!! I will share some photos of things I've made another day since the ones I took are all blurry for some reason. The class is a techniques class more than a projects class so we are learning all sorts of fun techniques and then I will just have to make something using these techniques! Stamp set giveaway over on the Crafter's Companion USA Challenge Blog (US residents only) ends today so hurry up and go comment. GO HERE. 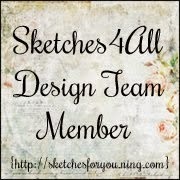 Sketches4all Spring and Easter Contest is going on until March 29th. Challenges offered with RAK's every day!! Go join in the fun! 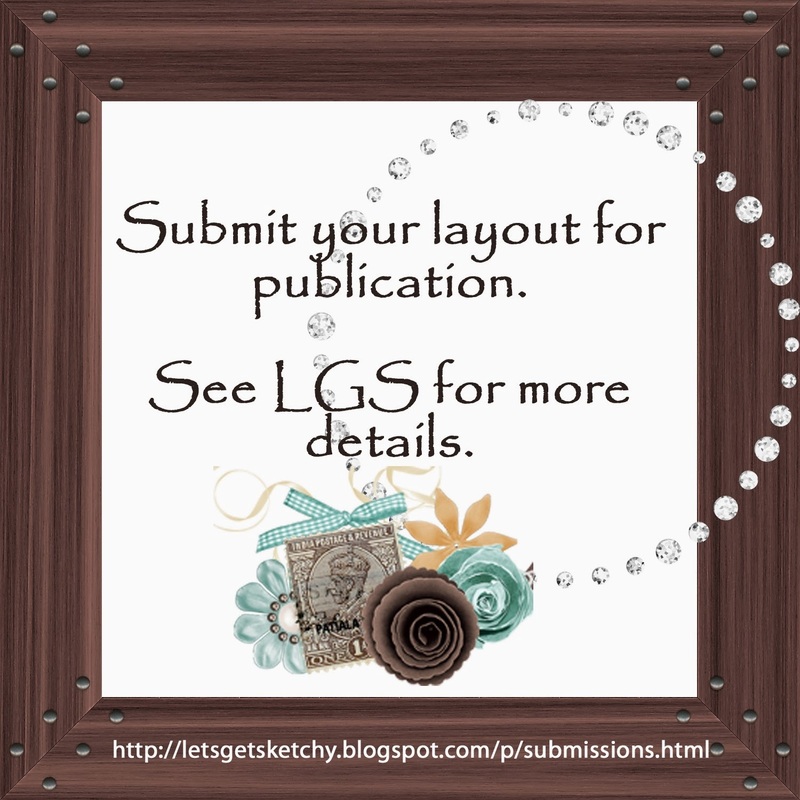 While you are there you can check out my Card Challenge and my "anything goes" Stash challenge. And finally Scrap Our Stash has a Green Challenge. You can make any paper craft as long as you incorporate "green". I think that is it!! lol Thanks for stopping by. Hello everyone!! If you are Sketches4all fans then you are in for a treat! Today my challenge will start the Sketches4all Spring and Easter contest. There will be a new challenge with a RAK posted everyday until March 29th by the Design Team. will win a wonderful prize!! This prize is papers from Echo Park!! You can find ALL the challenges in SPECIAL EVENTS on the forum at Sketches4all. I used some We R memory Keepers -Cotton Tail papers. I pulled some flowers, ribbon and bling from my stash. It came together pretty fast. Let's see what you can come up with. Go check it out and have FUN! Did everyone have a nice St. Patrick's Day weekend?? My family was lucky enough to go to our local St. Paddy's Day parade and watch my darling daughter and her school's cheer leading squad participate. Happily, the "cold front" that was supposed to bring rain held off until later in the afternoon. Half of us had to split up and go watch my son's lacrosse game since unfortunately they were at the same time. But we had fun at both events. I hope you were able to do something fun last weekend too. I have been itching to pull out these new Beatrix Potter stamps that Crafter's Companion are launching and that will soon be available in the Crafter's Companion store. I immediately stamped out several because I couldn't decide which one was cuter. I spent a couple of hours coloring several of the images. (so fun!) These are really just the sweetest stamps. After coloring the images, I chose one of my favorites and set to making my card. 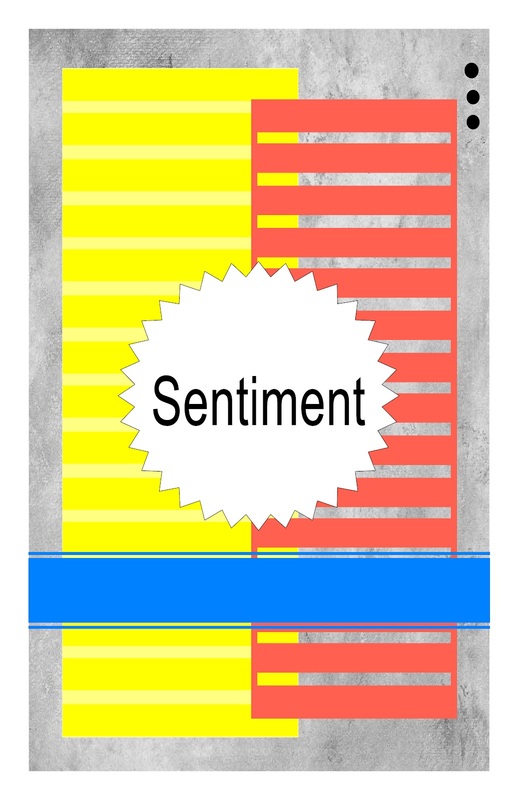 For this card I decided to make a Pocket Card. 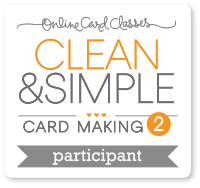 I saw the tutorial in a Cardmaker Magazine recently and though I would share. First start with a piece of card stock 5 1/4 x 11 inches. Place the paper horizontally and score it in the middle which is at 5 1/2 inches. Next score horizontal lines 1/2 inch down from the top and 1/2 inch up from the bottom. Fold in the middle and open back up. Then fold the sides in and put adhesive on them. Next fold the card in half again and adhere the flaps on each side together. This leaves a little opening on the top for your pocket insert. See...super easy! Now you just need to decorate the outside and make the pocket insert to slip inside. I pulled out one of my Martha Stewart edge punches and punched two layers of paper and grabbed some yummy velvet ribbon from my stash to go on top. I folded the ribbon in a couple of places and stapled it in place. Next I adhered it all on top of the pattern paper on the base. I used my scallop punch to punch out my colored image and then inked all the edges of pretty much everything! ( I inked all the papers before adhering them of course) I raised it up with double sided adhesive foam to give it extra dimension. I stamped out my sentiment and layered it on matching card stock and stapled a folded bit of left over ribbon on the side. I again used the double sided adhesive to raise it up off the card. For the pocket insert, I cut out a piece of paper 3 3/4 x 5 1/4 inches. I punched out a coordinating circle with my 1 1/2 circle punch and glued it to the back of this paper. If you make a card like this, you can decorate it however you like. I wanted my insert to be pretty clean and simple so I could write a personal note on it. And there you have it, my Crafter's Companion project for the week! I'm so happy you stopped by my blog today. If you happen to make one of these pocket cards using a Crafter's Companion stamp please share it with them!! We would love to see your projects on our Going Green Challenge this month over on the Challenge Blog! 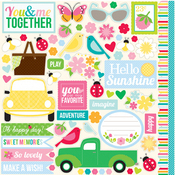 We are giving away another stamp set this week on the Crafter's Companion USA Challenge Blog. This week we are giving away the Paintbox Poppets -In the Cottage Garden stamp set. You need to go over to their blog and leave a comment on the post. GO HERE. (US residents only) May as well get your name in the hat!! After coloring the image I fussy cut those little rascals out and set them aside. Next I stamped out the sentiment and used my Cuttlebug and some dies to cut graduating ovals. Next you will measure two inches in from each side and make two vertical lines. ﻿Next you will need to score all of these fold lines. Now fold and adhere the sides. I added ribbon for the handles by punching a hole through the side of the bag and adding a brad through the bag and ribbon. Decorate your bag however you like. I edge punched card stock to finish off the top of the bag and then added the stamped image and the sentiment. I really like how it turned out. 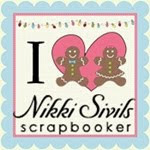 You really should go check out Scrap Our Stash and join in on this "Green" Challenge!! Let The Journey Be Your Destination! Welcome!! Stacy here to give you a wee little sneak peak at a beautiful new stamp line from Sheena Douglass that Crafter's Companion has coming out soon. This new "Sketchy" set is just full of old world charm. For the card I made I chose the Destination Stamp and I stamped it out on white card stock. I really thought that this stamp lent itself to a more distressed look so out came my Ranger Distress Ink pads in Frayed Burlap and Iced Spruce. After getting out my trusty 15" x 18" Inkssentials Non-stick Craft Sheet and spreading it out, I inked up the foam on my ink blending tool. Starting off the paper on the craft sheet I worked in circular motions inking onto the stamped image. 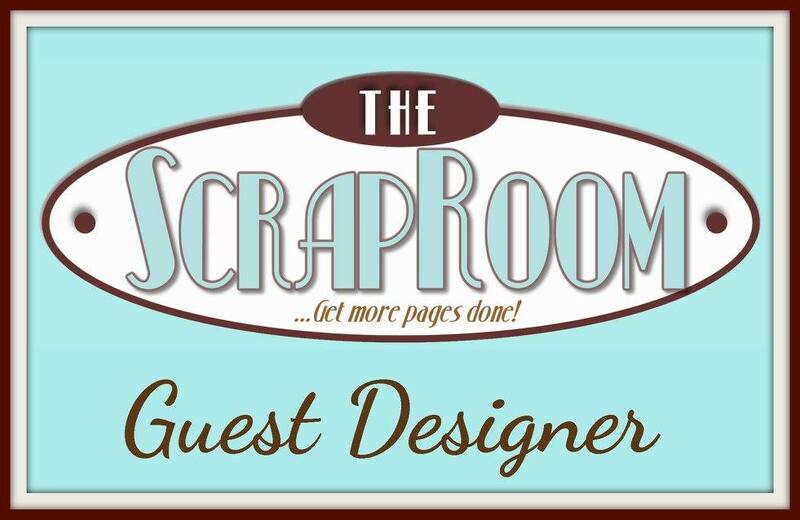 I'm always looking for scrapping goodies at the dollar store and at thrift stores. These are really wonderful places to find scrap stuff at a low prices and it really causes you to look at things in a different way. I've found so much cool stuff that I almost hate to share the idea with you!! LOL (jk) I really scored big at my local thrift store the last time I was there. I found this wonderful book of sheet music for 50 cents! The music pages already had an "aged" look to them but I added a little more along the edges of the sheet I used on this card. The ribbon I used was white but since I already had my Distress Ink pads out I used the Iced Spruce and colored the ribbon to match. All that was left was to add a couple of brads from my stash to the sentiment. I also used some double sided adhesive foam pads to the back of the sentiment to raise it up and give the card more dimension. We also have a Stamp It Australia - Renaissance Squares stamps set as a giveaway over there this week. 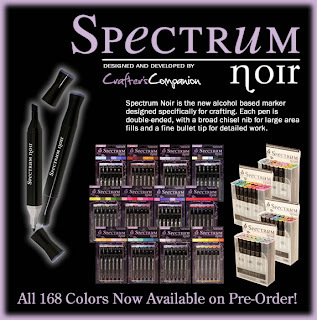 You must be a US resident to enter and you have to actually go over to the Crafter's Companion USA Challenge Blog and leave a comment to enter. So go do that right after you leave here. How was your weekend?? We had a nice weekend here. The weather is gorgeous, sunny and nice, so my kids spent most of the time outside playing. My older son had a lacrosse game yesterday morning. They didn't win but they really are getting better and better every day. Their team is a brand new team and unfortunately the teams they are up against have all been playing for a couple of years. It can be disheartening but the boys have really all had a great attitude about it so far. Unfortunately, I didn't bother to notice that the book I was reading was the first book in a trilogy and the next book isn't coming out until September! I was so upset when I finished reading it and everything was left up in the air. I hate that!! It would have been okay if I had been able to immediately start reading book number 2 but no such luck. Grrrr (ha) I will have forgotten everything by the time the next one comes out. ﻿I made this layout for Sketches4all. They are having a March Sketch Layout challenge with a Nikki Sivils Get Well Soon Kit as a RAK. There is still time for you to enter because the challenge doesn't end until March 31st. You have to use the sketch and a "spring" theme. The cool sketch is one that our very own DT member Kathleen made. She really did a fab job on it right?? I kind of flipped it a bit but mostly stayed pretty true to the sketch. I made several flowers for it and just scattered them all over the layout. I pulled out my newest obsession...the Sew Ribbon punch and added ribbon to the corners. I stamped out a swirl on a couple of the corners of my photo mat. I love the paper I used from Little Yellow Bicycle -Saturdays collection. What do you think? Like it? How are you are enjoying the extra hour of sun tonight?? Are you tired after losing that hour this morning. How do you feel about daylight savings time?? Like it or hate it? If you haven't entered the Going Green challenge at Crafter's Companion...what are you waiting for!?!?! LOL Tomorrow there will be a new stamp giveaway posted on the Crafter's Companion USA Challenge Blog. You should definitely go leave a comment and throw you name in the hate and try to win it. Okay, enough from me for today. Thanks for stopping by. 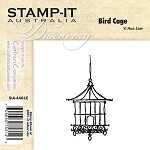 Don't forget to go leave a comment on the post HERE at Crafter's Companion USA Challenge Blog to try to win the Stamp It Australia-Bird Cage stamp set!! Today is the last day to enter to win. Hurry up!! How are you guys doing?? Getting a chance to be scrappy today?? My hubby has been commuting to work in Minnesota and had an apartment there. Now that he is managing 14 states instead of just one, he won't be there as often and so no longer needs the apartment. So he packed up his stuff and drove it back here. Yesterday I scrapped 2 layouts and 2 cards and started a 3rd card! Sometimes you are just "feeling it". Right?? One of the layout is a DT project so you will have to wait to see it but I am going to share the other 3 with your today!! First lets start with a card I made using Fia's sketch Challenge at Sketches4all (Get Sketchy). Next I want to share another card I made using a sketch challenge from Kathleen at Sketches4all. And finally my layout....are you dying to see it? lol I used another sketch challenge. 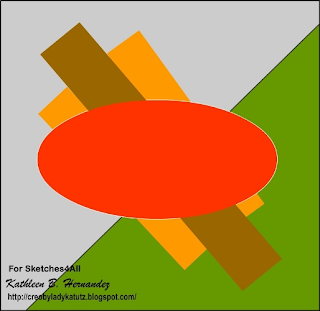 This time it was a sketch made by Jessica over at Sketches4all. I used some new paper from Little Yellow Bicycle - Saturdays Collection. I've been obsessing over my Sew Ribbon punches so I decided to use it on this layout. Those things are so cool and so easy!! I hid a bit of journaling with a pull out tag. I blinged the heck of those circles and I used funny photos of my dd. She loves beef jerky and slim jims. When her brothers and I were driving back to Nevada from Oklahoma we came across these ginormous treats and knew she would LOVE them. So we got them and gave them to her for her birthday. Weird...I know. LOL But she did love them as you can tell from the photos. 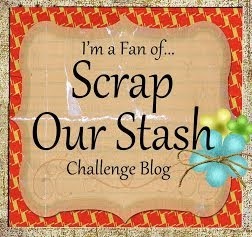 Go check out Scrap Our Stash Challenge Blog too. This month the challenge is "GREEN". We would love to see your projects over there!!! Thanks for stopping by and checking things out. Winner of $100 Gift Certificate!! !